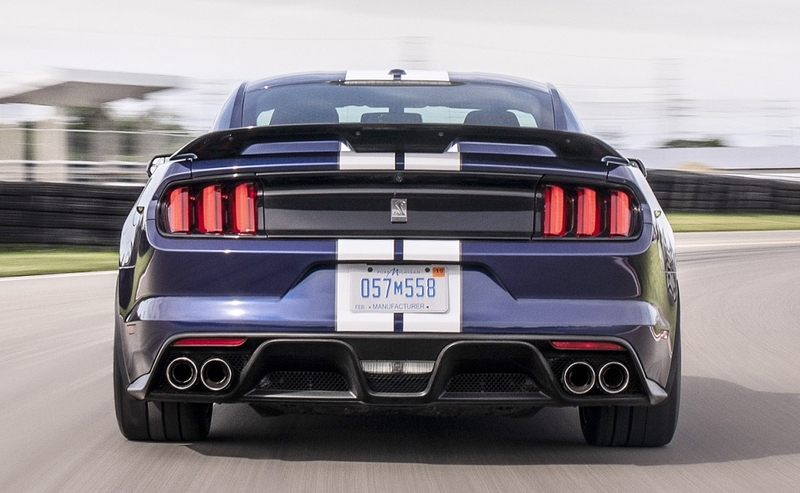 DETROIT — Ford Motor Co. is updating the track-ready Mustang Shelby GT350 to make the performance pony car quicker and more responsive for inexperienced and expert drivers alike. The 2019 model, on sale in the first quarter of next year, receives new tires, changes to the suspension and a new aerodynamics package that includes an updated rear spoiler with an optional Gurney flap. A Gurney flap is a vertical extension to the rear edge of the spoiler added to generate more down force. "The end goal was to make the car better on the racetrack," Mark Schaller, Mustang brand manager, said Monday at a media briefing at a racetrack outside Detroit. "We want to flatter the novice and reward the professional." 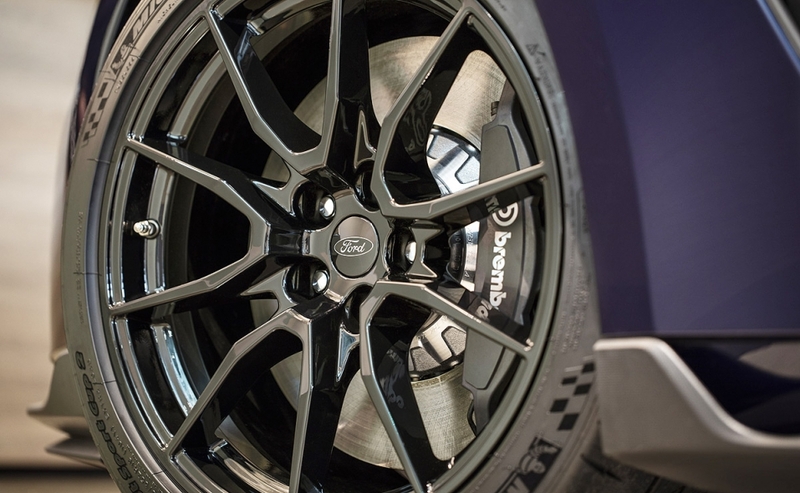 Ford worked with tire maker Michelin to create Pilot Sport Cup 2 tires that are unique to the GT350 and will provide better grip and handling. The suspension also includes recalibrated springs and revised damping for better performance. 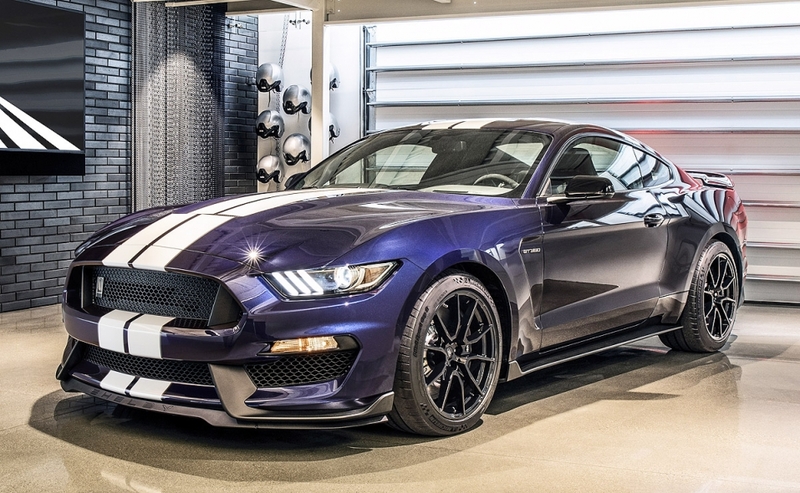 The GT350's powertrain remains unchanged: a 5.2-liter V-8 engine featuring a flat-plane crankshaft that produces 526 hp. Inside, the vehicle will have an 8-inch touch screen with the Sync 3 infotainment system standard. 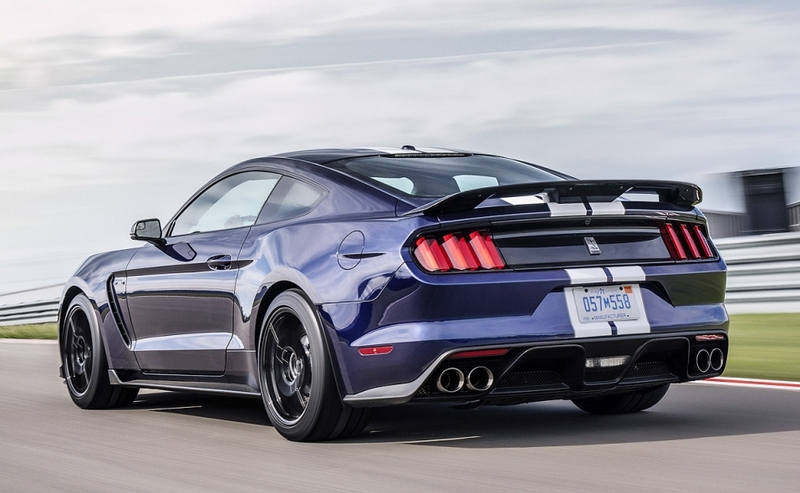 New colors for the 2019 model include Velocity Blue and Ford Performance Blue. 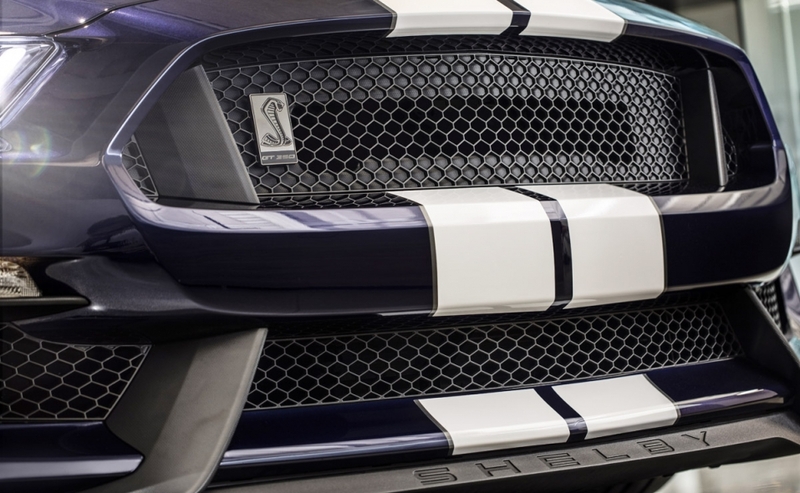 The GT350 will not have the updated grille and headlight design that debuted on the base 2018 Mustang. Carl Widmann, Mustang chief engineer, said GT350 fans liked the current design. 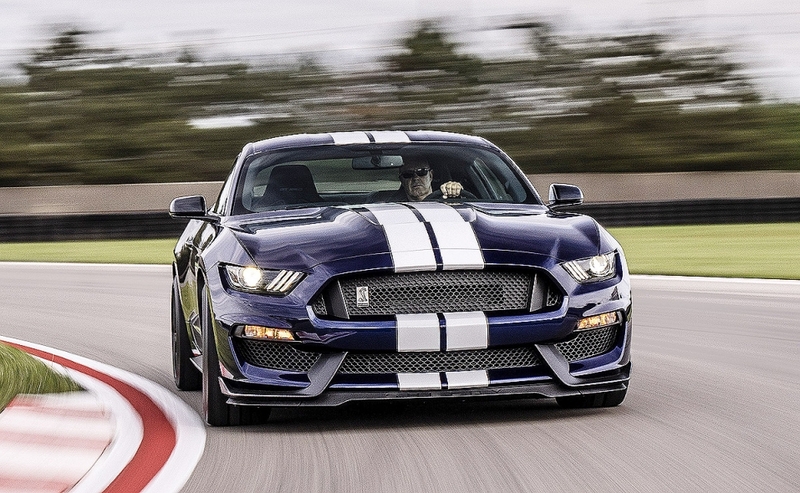 Widmann also confirmed the Shelby GT350R variant would continue for the 2019 model year. 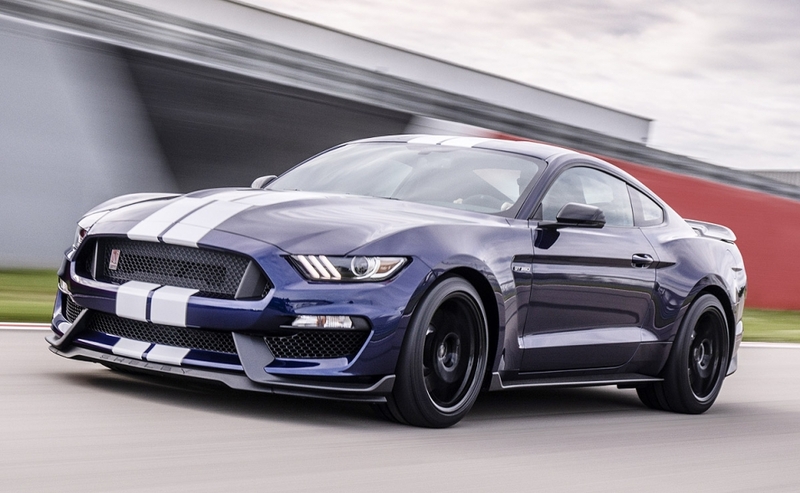 Ford re-introduced the Shelby GT350 for the 2015 model year. 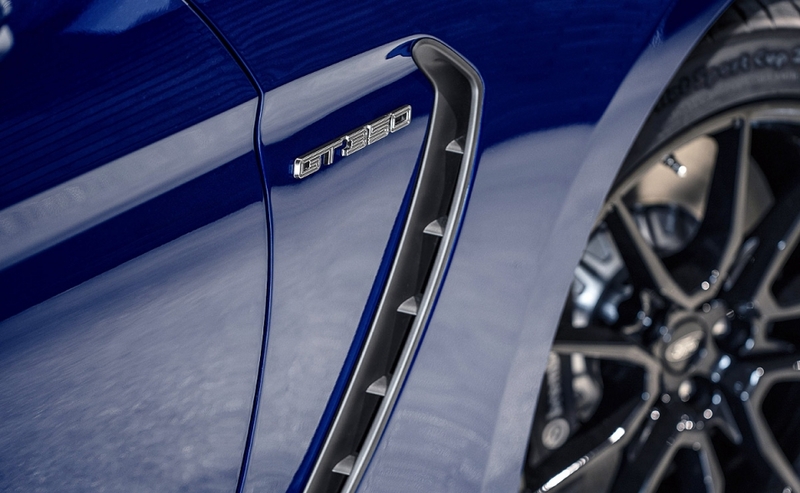 The company will add to its performance lineup next year with a Shelby GT500 that will generate more than 700 hp, making it the most powerful street-legal vehicle Ford has ever offered.